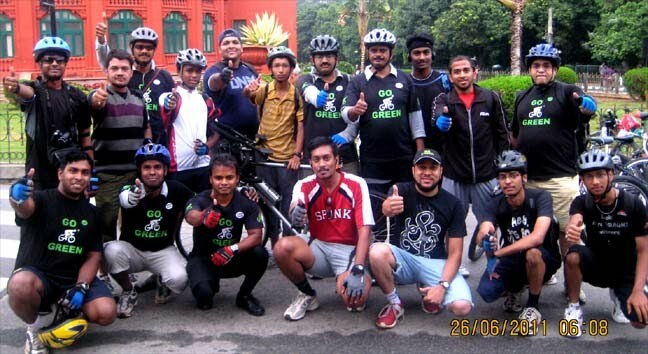 GoGreen Long Ride towards Nandhi Base on 26 Jun 11 - GGI-Group size: 4000+ Professionals, Increasing on day to day basis, Come & join us 2 serve Mother Nature. 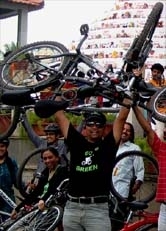 Just after a fuel hike on 25Jun11, While the whole of Bangalore were cursing the central Govt & few organised rally to reduce the prices but the GoGreen Group came up to show case how one could move from one place to another place with the use of cycle and avoid depending on Fuel. 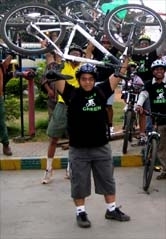 On 26June11 Sunday decided to hit Nandhi base, totally covering 120 Km's, 23 GGI's started early morning @ 6:00am from Cubbon park Central Library & reached Nandhi base by 9:00am and went on till 10:30am, Azar was on a single speed bike hence touched down last however I strongly feel, u need to have lots of stamina to be on a single speed bike and travel such a far distance. 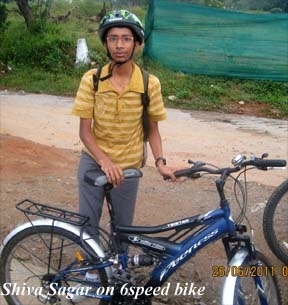 Their was one more kid by name Shiva Sagar from baswangudi, studying 9th standard on a 6 speed bike, fully determined to touch Nandhi base @ any cost. 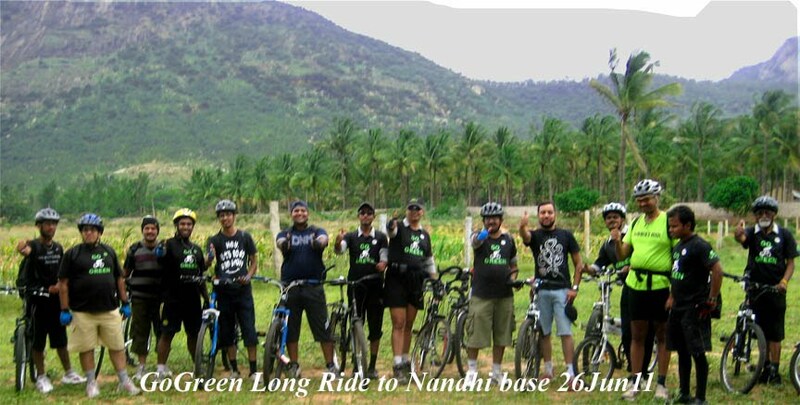 few of them went right up to the peak of Nandhi ..
We had 3 Btwin Road bike's out of which 2 of them went flat which caused lot of delay. 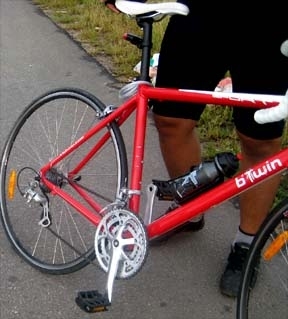 Once again we wanted to advise all the GGI's who ride Road bikes to check air in both their Tyres, check the air through a proper gauge. 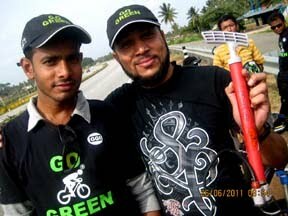 While fixing the puncher we realized that the available puncher stickers have dried and were not helping us to fix the problem. 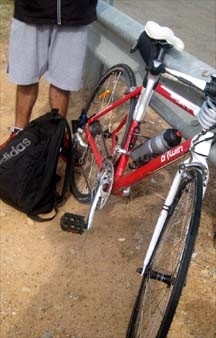 Since these stickers are not used for a long time hence it was not doing its job however would advise everyone to stick on to a branded puncher stickers which may cost little extra but will support you when its really needed. 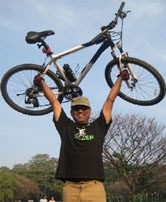 Deepak on his Btwin Road bike.